SF Airlines (Shenzhen) is planning to add the larger Boeing 767-300F freighter to its growing fleet. The 767 will be a new type for the carrier. The cargo airline has placed an order with Boeing for an undisclosed number of 767-300 ER passenger-to-freighter conversions (Boeing Converted Freighters). 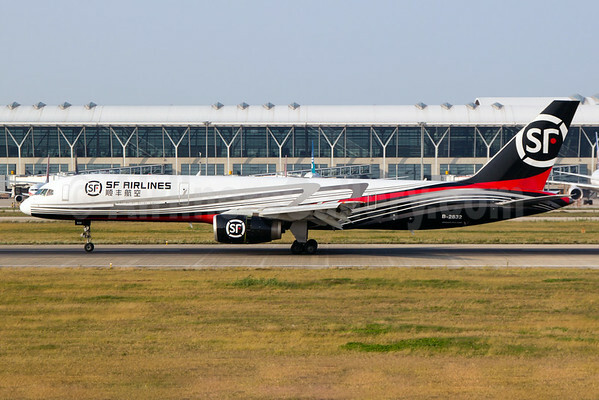 SF Airlines, a subsidiary of Shenzhen, China-based delivery services company SF Express, will accept its first redelivered 767 in the second half of 2015. SF Airlines currently operates Boeing 757-200F freighters (above) and Boeing 737 freighters. Copyright Photo: Yuji Wang/AirlinersGallery.com. Boeing 757-2Z0 (F) B-2832 (msn 25887) is pictured at Shanghai (Pudong). This entry was posted in SF Airlines and tagged 25887, 757, 757-200, 757-200F, 757-2Z0, B-2832, Boeing, Boeing 757, Boeing 757-200, Boeing 757-200F, Pudong, PVG, SF Airlines, Shanghai on October 23, 2014 by Bruce Drum.